Chris Townsend Outdoors: The Great Outdoors September issue: a sense of space, hiking boots, sandal review. The Great Outdoors September issue: a sense of space, hiking boots, sandal review. The September issue of The Great Outdoors has just been published with a theme of ridge walks. 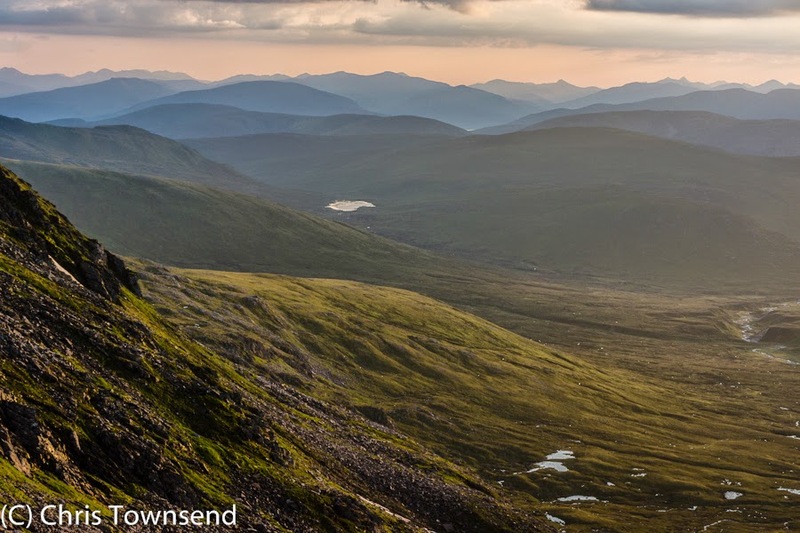 My backpacking column is about the wonderful sense of space found in the hills, inspired by my recent camp on Creag Meagaidh. In the gear pages I review 18 pairs of 'three-season' boots (I think many of them are best suited to winter). I still have black toenails from some of these! My Teva Terra sandals test also appears. Elsewhere in gear Judy Armstrong reviews six windshirts, Emily Rodway talks to Gordon Fraser of Anatom Footwear about boots and boot fitting, and Daniel Neilson describes some of the new gear displayed at the annual OutDoor show in Friedrichshafen. The centrepiece of the ridge walks theme is an account by Dougie Cunningham of a traverse of An Teallach with an overnight camp and a spectacular dawn. Vivienne Crows looks at some fine Lakeland ridges that rise from valley to summit while David Taylor describes seven classic ridge scrambles in Snowdonia. Far away from the British hills Andrew Mazibrada has an exciting time in Bosnia and Herzegovina walking part of the new Via Dinarica long-distance trail which winds for over 1000 kilometres through all the countries of the Balkans. 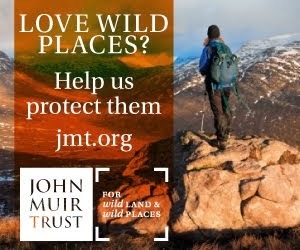 There are also suggestions for other lesser-known wild mountain areas in Europe including one I know well but with a name I'd not heard before - The Scandes. Unsurprisingly this means the Scandinavian Mountains including the highest summits of Norway, Sweden and Finland, all of which I've climbed in both summer and winter. Many years ago I did a ropes course at an outdoor centre and found it a mixture of exhilaration and terror. In this issue Ed Byrne describes his experience on a 'Go Ape' course in Thetford Forest that sounds very similar. I haven't been on Kinder Scout in the Peak District for many, many years and my memory is of deep peat groughs, dark bare boggy ground and confusing navigation. Carey Davies has been up much more recently and writes of 'a lush upland prairie, green and inviting .... a swaying sea of mosses and grasses' in his Mountain Magic column. 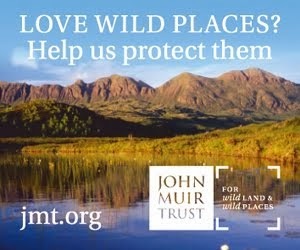 This is due to much hard work by organisations seeking to restore the damaged moorlands of the area. Whilst Carey Davies writes of an inspiring and optimistic project Roger Smith brings us down to earth in his Environment column with concerns about the spread of mobile phone masts in National Parks. 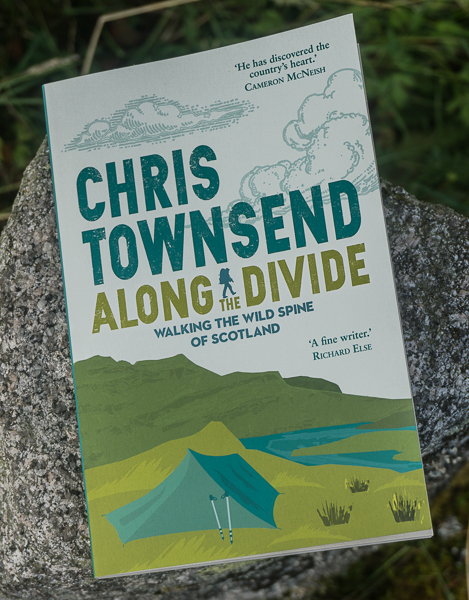 One of the joys of Jim Perrin's Hillwalkers' Library is discovering new books as well as nodding approvingly when Jim praises old favourites. W.G.Sebald's The Rings of Saturn is definitely one of the former. Although I've heard of the author (and I think there's an unread volume by him on a bookshelf somewhere in the house) I hadn't heard of this book nor, from the title, guessed it was based around a walk. This issue also has information on The Great Outdoors Awards 2014. Nominations are open until September 25 - see www.tgomagazine.co.uk/awards.